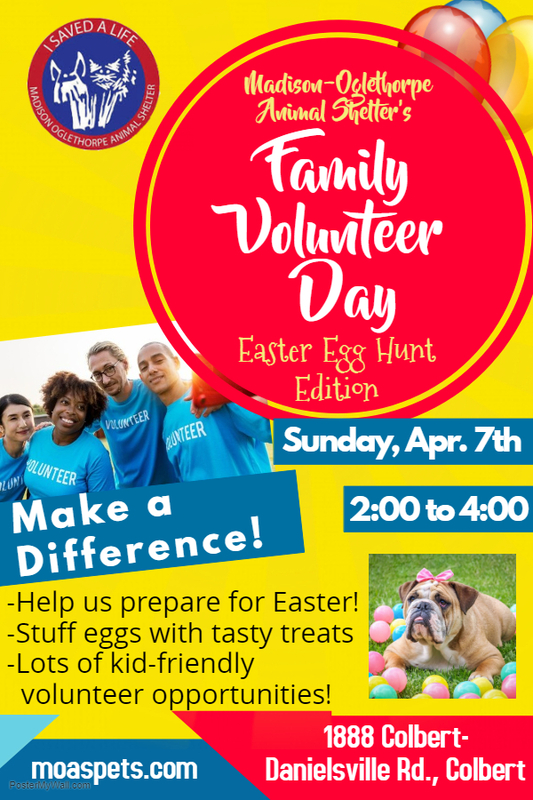 We’re back with our first Family Volunteer Day of 2019 to help us get ready for our 2nd Annual Pawsome Easter Egg Hunt for Pups! We need helpers to stuff eggs and help us with some other projects to get the shelter ready for our Easter Egg Hunt. We’ll have other regular volunteer opportunities including socializing our shelter animals, bathing some of our pups, and more. So come join us for a great time volunteering this Sunday! Sign Up Here for our family volunteer day! 2nd Annual Pawsome Easter Egg Hunt for Dogs!